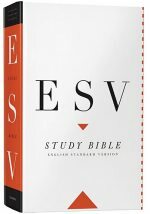 The ESV study bible blog has recently put online free copies of some of the chapters from the new ESV study bible. If you are interested in purchasing the ESV study bible or are doing a study on 1 John or Esther. then no doubt these pdfs will be of great benefit The essay titled “Introduction to the Prophetic Books” by Paul R. House (associate dean and professor of divinity at Beeson Divinity School) is also provided. Theses extracts from the ESV study bible show the quality of the ESV study bible. It is very thorough and well laid out and shows the hours of prayer and dedication that have gone into its production. Thanks for posting these free samples from the ESV Study Bible! This new reference Bible seems to be very well done indeed! I agree that it looks really good. I think I’ll buy one or maybe ask for it as a Christmas present!